Workers’ compensation covers you when you suffer an injury doing your job. In Georgia and most other states, workers’ compensation pays you wage loss benefits when your injury causes you to miss work. If you have short or long term disability insurance, that insurance company may pay you wage loss benefits as well. Can you get benefits from workers’ compensation and from long term disability? In almost all cases, the answer is yes. But, that is just the first question you should ask. Long term disability may affect your workers’ compensation benefits. 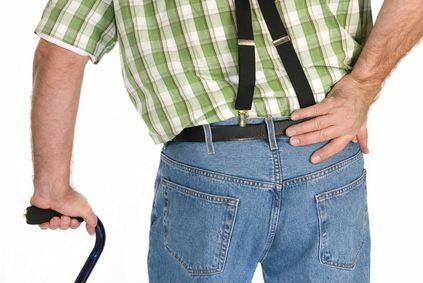 Workers’ Compensation may affect your long term disability benefits. Let me talk some about how these two benefits interact starting with your disability insurance policy. How do I know what I should receive? The insurance policy will define your benefits. You will want to get a copy of the policy so that you can understand how it will work. The long term disability insurance policy also should explain how much your benefit will be. Usually, long term disability pays you something around 60% of your income. But different policies have different benefit amounts. The policy provides a base benefit for you. The long term disability company may pay you a different benefit. Often, this happens when the insurance company adjusts that amount based on “offsets” in the insurance policy. “Offsets” are basically benefit reductions. Let’s say the insurance policy provides that your benefit is $2000 a month. You would expect to receive $2000 a month for each month you are out of work. Normally, you would. But most long term disability insurance policies have policy language about “other benefits” or “deductible sources of income”. These policies usually provide that the disability insurance company gets to take credit for certain other money you receive. Two of the most common “other benefits” are workers’ compensation and Social Security disability. Let’s go back to the $2000 a month example. If you are receiving $1000 a month from workers’ compensation, then the disability company may reduce your long term disability benefit by $1000 a month to take credit for the workers’ compensation payment. So, you would get $1000 from long term disability and $1000 from workers’ compensation instead of $2000 from long term disability. Isn’t it unfair that my benefit gets reduced when I paid for this disability insurance? Many people feel treated unfairly when workers’ compensation benefits reduce what they receive from long term. I do not blame them. They paid for this insurance to pay them money if they became unable to work. Then, the long term disability insurance reduces their benefits because they happened to get hurt at work. Unfortunately, you may not be able to do much about it. The insurance policy is the “deal” you have made with the insurance company. If that deal provided that the insurance company could take credit for what workers’ compensation paid you, then they probably will be able to do so. If the insurance company reduces my benefits, why should I even pursue getting long term disability? First, the long term disability insurance company does not necessarily reduce your benefits. Your policy may not allow them to reduce your benefits. Check your policy for offsets for workers’ compensation and other benefits first. Sometimes, the offset for other benefits would completely wipe out your long term disability. Suppose your long term disability is $1500 per month and your workers’ compensation is $2000 per month. When the disability insurance company takes a credit for workers’ compensation, the long term disability gets completely wiped out. But many policies have a minimum benefit. This means that you receive a minimum payment from long term disability even if your benefits is completely offset. You would not receive this minimum benefit if you did not file a claim. Another reason to file for long term disability is settlement. Your offset may change if you settle your workers’ compensation case. How does this work? Again, you need to check your insurance policy. Most policies have language that explains what happens if you receive a lump sum payment. Most Georgia workers’ compensation settlements are lump sum payments. So, you need to carefully consider what effect the workers’ compensation settlement will have on your long term disability benefits. I have had cases where my clients were able to receive more benefits after a workers’ compensation settlement because the monthly “offset” was reduced. Can receiving long term disability reduce my workers’ compensation benefits? Sometimes, the workers’ compensation insurance company will try to take a credit when you receive long term disability benefits. They use a statute in the workers’ compensation law known as O.C.G.A. 34-9-242. This statute indicates that employers may take credit for payments under a disability insurance policy established by the employer. This can create a difficult situation because you may have both insurance companies trying to take a credit at the same time. The law does not explain what happens in this situation. The insurance companies may argue about who can take a credit. But at least one of the insurance companies should pay your benefits until a court decides who gets to take the offset credit. Otherwise, you would get punished for having insurance. Many long term disability policies contain language requiring you to file for Social Security disability benefits. The companies benefit from this language because most of them have an offset for Social Security disability benefits. Filing an application for Social Security disability can affect your workers’ compensation case. For one thing, it could make settlement of your case more difficult. The workers’ compensation insurance company may require you to set up a Medicare Set Aside account as part of settlement. If you get Social Security disability benefits, this introduces another level of complexity into your case. Social Security may reduce your long term disability. Also, your workers’ compensation may reduce your Social Security disability. This can feel like an endless cycle. Many people who qualify for workers’ compensation, long term disability, and Social Security disability want to make sure they receive the maximum benefit to which they are entitled. It is complicated to calculate the best way to do that when dealing with these three different benefits. 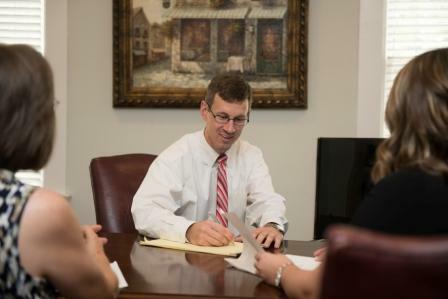 In these situations, I would recommend that you involve an attorney who is familiar with these benefits so that you do not get shorted out of something you should receive. What if I have more questions about workers compensation settlements? Talk to an attorney. I recommend that everyone talk to a workers compensation attorney before settling their case. That does not mean you have to hire an attorney. But talking to one may prevent you from making a big mistake. I provide free consultations in workers compensation cases. This helps you learn what I can offer you before you make a decision about whether you need to hire me. If you have questions about how a free consultation works, I would suggest reading this article I wrote that explains the process. If you would like to set a free consultation up or have more questions, just call (770) 214-8885 or complete and submit our free consultation request form. Jason made a bad situation unstressful and did it with compassion and expertise.